Each hit has a chance for "Dead Eye! Increased Targeting Accuracy! ", increases attack's accuracy and chance for a critical hit. Each hit has a chance for "Random Shell Gauge! +X% Damage and Increased Targeting Accuracy", increases attack's accuracy, increases damage by X%, where X is a number between 40 and 80. Last hit has a chance for "Point Blank Shred: 1.5x Damage Over Time! ", inflicts 1.5x DoT, lasts 3 turns. Combos: 100% Chance to inflict opponent with "FA Tag" status for 99 turns; if opponent is affected by <FA Tag, BA Tag, FS Tag, BS Tag, and HD Tag>, MK35 Ground Assault (Body effect see below) has a 100% chance for "Massive Combo! Massive Damage and Crit bonus! ", increases damage and chance for a critical hit. 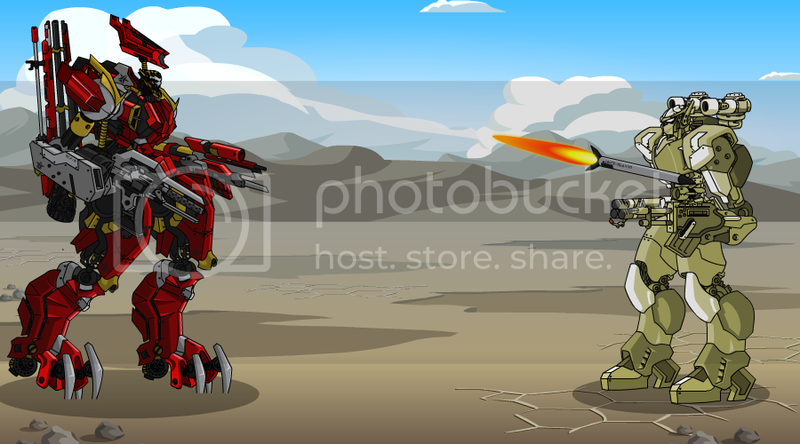 Description: Close up or far away gunnery style. Walk up to point-blank range with the melee-style attack for doubled damage over time. Ranged attack delivers increasing damage and chances of critical hit. 1st hit has a chance for "Blast Radius Damage Increased! Immobility Resistance Lowered by 40", lowers opponent's Immobility Resist by 40, lasts 3 turns. 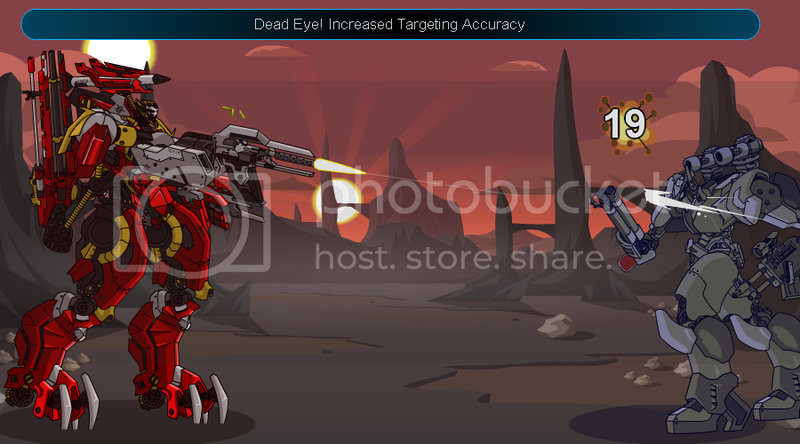 Each hit has a chance for "Calibrated Sight - +20 Attack bonus this turn", increases hit's Bonus by 20. Last hit has a 100% chance for "Blast Core! Stunned! ", stuns opponent for 1 turn. Combos: 100% Chance to inflict opponent with "BA Tag" status for 99 turns; if opponent is affected by <FA Tag, BA Tag, FS Tag, BS Tag, and HD Tag>, MK35 Ground Assault (Body effect see below) has a 100% chance for "Massive Combo! Massive Damage and Crit bonus! ", increases damage and chance for a critical hit. Description: Multi-hit bombing blast attack. Highly damaging. Blast Radius lowers enemy immobility resistance - enemy may be stunned by Blast Core. Each hit does full weapon damage. Both hits seem to have a high chance for a critical hit. 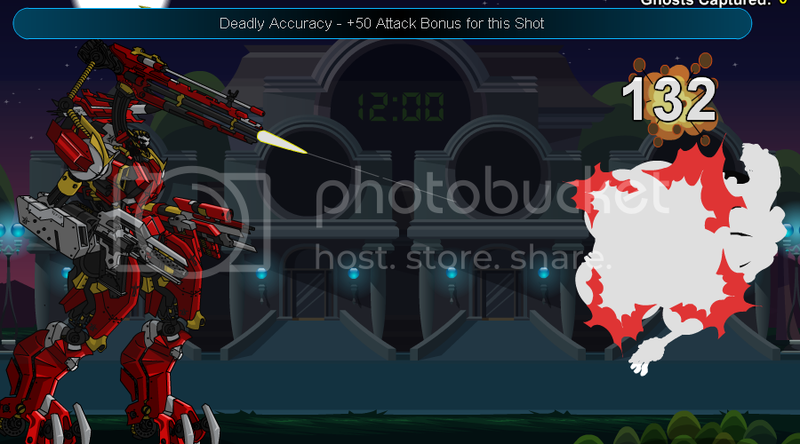 Chance for "Deadly Accuracy - +50 Attack Bonus for this Shot", increases Bonus of both hits by 50. Combos: 100% Chance to inflict opponent with "FS Tag" status for 99 turns; if opponent is affected by <FA Tag, BA Tag, FS Tag, BS Tag, and HD Tag>, MK35 Ground Assault (Body effect see below) has a 100% chance for "Massive Combo! Massive Damage and Crit bonus! ", increases damage and chance for a critical hit. Description: The sniper weapon of the Mohawk. Hits can do critical damage with deadly accuracy. Chance for "Hull Integrity Damaged -35", lowers opponent's Defense by 35, lasts 3 turns. Chance for "Weapons Array Damaged -50% Damage", lowers opponent's Boost by 50, lasts 3 turns. Combos: 100% Chance to inflict opponent with "BS Tag" status for 99 turns; if opponent is affected by <FA Tag, BA Tag, FS Tag, BS Tag, and HD Tag>, MK35 Ground Assault (Body effect see below) has a 100% chance for "Massive Combo! Massive Damage and Crit bonus! ", increases damage and chance for a critical hit. Chance for "Lost footing: -X to Attack Bonus", lowers opponent's Bonus by X, where X is a number between 23 and 50, lasts 3 turns. Combos: If opponent is affected by <FA Tag, BA Tag, FS Tag, BS Tag, and HD Tag>, MK35 Ground Assault has a 100% chance for "Massive Combo! Massive Damage and Crit bonus! ", increases damage and chance for a critical hit. Description: Disruptive Ground Assault attack causes enemy to lose footing. When enemy is tagged with all default weaponry in advance, using this in sequence for a combination-style move will deliver devastating damage! 1st hit has a 100% chance for "Energy Spike! 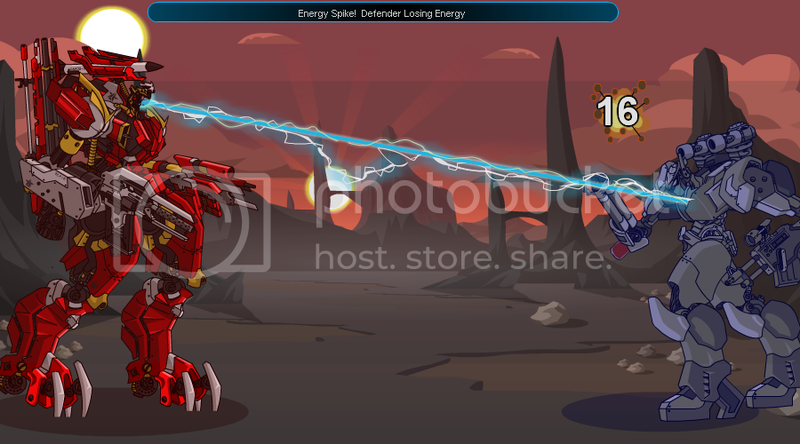 Defender Losing Energy", inflicts 21-36 EP DoT, lasts 3 turns. 100% chance for "Mohawk systems Locked On! +X Attack Bonus", increases Bonus by X, where X is 10 plus 20 for the first hit, and an additional 10 for each of the last 3 hits. Combos: 100% Chance to inflict opponent with "HD Tag" status for 99 turns; if opponent is affected by <FA Tag, BA Tag, FS Tag, BS Tag, and HD Tag>, MK35 Ground Assault has a 100% chance for "Massive Combo! Massive Damage and Crit bonus! ", increases damage and chance for a critical hit.